Hedgehogs are smiley, prickly, exotic little mammals that will make great pets to the right owners. Being nocturnal creatures, they will be active from early evening and on through the night. If you’re working 9 to 5, you’ll be home just in time to say good morning to your little spiny friend. In the meantime, you must provide them with the best hedgehog cage so they are always happy, active and healthy and never bored! 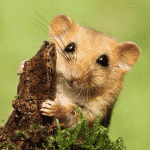 They are not as noisy as rodents and they don’t seem to crave human contact but if bought from a reputable breeder, they will be used to handling by the time you get one. Their spines are neither poisonous nor barbed. 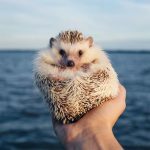 These lovely animals are low maintenance pets, so you won’t need to spend more than a few hours a week caring for your hedgie. The most common species of hedgehogs kept as pets in US are hybrids of the white-bellied hedgehog (Atelerix albiventris) and the North African hedgehog (Atelerix algirus). They are smaller than the European hedgehogs, and are usually called the African pygmy hedgehogs. As a result of selective breeding, hedgehogs now come in a huge variety of colors. Their backs are covered with rows of short prickly spines while their bellies are covered with soft fur. When threatened, stressed or nervous, hedgies roll into a tight ball which looks like a ball of spines poking out. When relaxed, their spines will lay almost flat. Find a reputable breeder who aims for good temperament and makes sure young hedgehogs are handled regularly. Getting a young (8-12 weeks old) little hedgie is the best way to make sure it will get used to being handled. If possible, try to pick up the hedgehog to check its reaction - choose one that will allow you to picked it up and maybe even turn on its back without rolling into a tight prickly ball for protection and stay like that. Here’s a useful video to watch before buying one of these lovable creatures. How big does the best hedgehog cage need to be? Although small in size, they are quite active and require a roomy and comfy cage for a happy and healthy life. Most reach a size of around 5-8 inches in length and, as a rule of thumb, you should look for a cage which is minimum 2 x 2 feet big, although 2 x 4 feet or similar would be even better. So, what kind of cage does a hedgehog need? Big hedgehog cages will provide your pet more room to play. They are small, but they are fairly active, so we you need to make sure that there is enough room in the cage for them to move around comfortably and get plenty of activity which will keep them healthy and prevent obesity. Typically, a hedgehog weighs between 6 ounces and 2 pounds and require about the same amount of space as a guinea pig. Their weight also needs to be considered when thinking of the cage interior and the equipment and accessories you are going to put in. What is the best hedgehog living space? 73-80 degrees F temperature and has good ventilation. The bedding is very important for a safe and comfortable cage floor and the sleeping area. Hedgies like secluded and safe part of the cage to tuck in and sleep. There are several great bedding materials and there are a few you should avoid. Recycled paper bedding materials from a reliable brand are great for cages for hedgehogs a number of reasons. They are soft and absorbent and since they are made from recycled paper they aren’t dusty. For those of you who enjoy a little color in the pet cage, these materials also come in a variety of fun colors. Aspen shavings are also popular among many pet owners because of the absorbency and aroma it offers. They are also inexpensive, which is a plus. Avoid cedar and pine at all cost as bedding for hedgehog cages! They are cheap and found everywhere but they are also toxic to your hedgehog because they cause respiratory and allergic problems as well as liver problems. Pine can be prickly for their gentle little feet and pine oils can cause health problems in your hedgehog. You’ll also need a shallow hedgehog f﻿﻿ood dish for easy access to cages for hedgehogs, a water bottle (preferable to dish for sanitary reasons), an exercise wheel with a flat bottom and only one side opened (as hedgies are a bit clumsy and may fall out from fully opened wheels) and some toys for them to push around. Critter Nation is a one storey cage measuring 36"L x 25"W x 38.5"H It comes with a stand, one pan, one adjustable shelf and one ramp with a cover. The full-width double doors provide great access for you to take out your hedgie to play, while you clean the cage. This stand is easy to maneuver and has locking casters to keep it in position. The stand raises the cage to a comfortable height so you can see your hedgehog and he will have a good, clear view of the surroundings. This concept also provides a convenient area for storage. Overall, this hedgehog enclosure is solid and sturdy. Once assembled it rolls well, looks great, and the easy to open doors with clear access make cleaning this cage fairly easy. The 1/2" horizontal wire spacing allows your pets to climb and explore in a safe and secure environment. The wide shelf and full-width plastic pan floor provide ample space for your pet to explore but also help prevent dangerous falls. 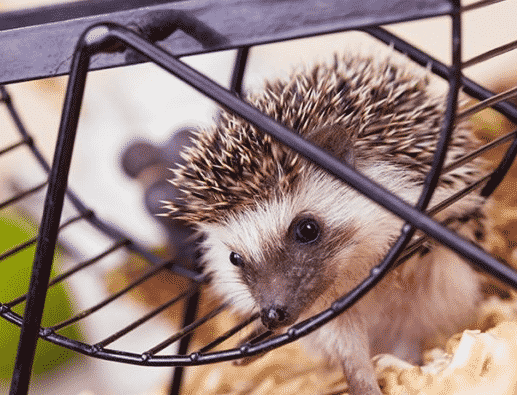 The Critter Nation cages for hedgehogs have multiple attaching points for adding hammocks, tubes, toys and other accessories for the hedgehog to push around and play with on his night quests for fun. This is the best hedgehog cage to date by far! You & Me Living The Dream is a great indoor cage for your hedgehog abut it can be a comfortable home for other small pets, as well. The slide or the ramp, if you will, could definitely use some traction of a non slippery padding but you can put in one of your choice easily. Your hedgehog will appreciate a safe, non-slip surface to get to the platform without falling down. You will like the beautiful bronze color as it adds a touch of style to the cage. This hedgehog enclosure comes on wheels which make it easy to move it around and place it so you can see your pet, or move it to a quieter part of the house if you have cheerful and noisy guests at night. To sum up, this is your best hedgehog cage for the money! A well-worth investment for your hedgehog's health and happiness! Perfect indoor hedgehog cage also suitable for rabbits, ferrets, and guinea pigs. MidWest Pet Habitat features an innovative Multi-Access folding top for easy and safe interaction with your pet while keeping it enclosed. The dividing panel in this large hedgehog cage has a lock-in-place ramp to separate play and care areas. Just close the ramp to keep your hedgie pig in the habitat while you clean the other side, then move the pet and do the other side. The PVC liner is durable, leak proof, washable and easily removable. This feature allows for easy care and maintenance while providing protection for your pet's sensitive feet at the same time. With the bottom detached, you can take this cage out and onto the grass to treat your beloved little pet with some clean air and soft, beautifully scented green turf on warm, sunny days. When making your hedgehog feel at home, bigger is definitely better and that is why this cage 8 square feet of space. It can easily be expanded to 16 square feet with the simple addition of another unit. Sets up in minutes, no tools required for assembly. Living World Deluxe Habitat provides everything you need for safely housing pet hedgehogs. It is also suitable for other smaller pets. The wire cage is elegantly styled, with an arcing red wire top and white wire sides. The wire top opens easily in 2 separate parts for easy access inside the cage. There is a wire door at the front for additional accessibility. This cage includes a balcony with an access ramp and a tip-proof food dish that secures to the balcony floor. There's also a hideaway space under the balcony to provide your loving pet with a quiet and secure hiding place. Comes with a drip-proof water bottle and a hay guard, both of which are located outside the cage to save interior space and allow easy maintenance access. The cage assembles in minutes using eight easy-to-use plastic clips, so no tools are required. Home Sweet Home is 28 inches long, 17 inches wide, 15-1/2 inches high. It’s very easy to assemble and no tools are required. This hybrid cage, consisting of an upper wire frame and a plastic bottom base, provides a safe, well ventilated and comfortable place for your pet to play and sleep. A large front opening doorway allows easy access to your pet as well as simple and convenient cleaning. Heavy duty plastic and chew proof powder coated wire adds durability while the plastic tray is stain and odor resistant. This product is ideal for hedgies but other small pets will also have a roomy and safe home in variety of different colors. This home for pets offers plenty of room for your pet to play and he will feel secure but might be a little bored. There is no upper platform to give him a nice view so he can feel relaxed seeing that there is no threat around. Make sure to add a platform and a ramp of your choice. Ferplast cage has a wire net structure and a plastic base which is removable and makes it easy to clean cage. The side can be completely opened giving better access for maintenance and for taking out your pet. This unit comes with a hay feeder, drinking bottle, bowl and a cozy house for sleeping. Its closing system is designed to keep your pet safe and secure. You do need to consider whether you have a big hedgehog or small one to make sure this cage will fit. The included ramp takes your hedgie to the second level of the cage where the feeding bowl is so there is plenty of space for your pet to live, sleep, feed, play and stay in shape. You may install an exercise wheel and add a box for your pet to sleep in and a few toys for it to play.